Prevent and remove hard water scale deposits inside water-using equipment without salt or chemicals. Hard water causes scale build-up to form in your water-using equipment, which leads to continued repairs or replacement, increased energy costs, reduced water flow and equipment downtime. Each of these costs your business time and money. Reducing the scale build-up with a salt softener or shutting down equipment to remove the scale build-up with chemicals had been the norm. That is why over 25 years ago our team at EasyWater developed the No-Salt Conditioner as a maintenance-free solution to not only prevent scale build-up from forming, but to remove existing scale build-up without the need for salt or chemicals. 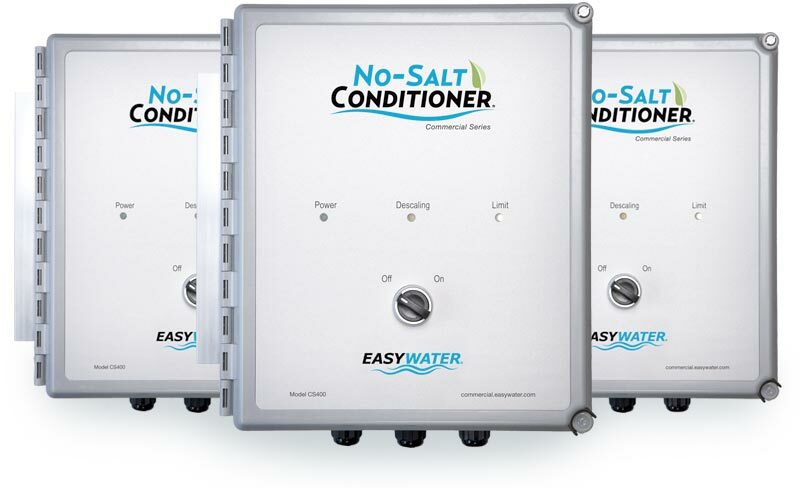 EasyWater No-Salt Conditioners have a control panel that mounts on the wall and a signal wire that wraps around several feet of any domestic main cold water supply and any hot water-circulating loops (For example: building hot water returns, common circulating loops between domestic water boilers and storage tanks, intra-tank circulators on water heaters). 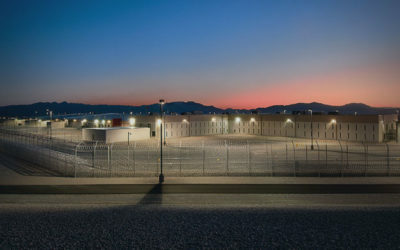 The system sends a wide range of electronic frequencies through the wall of the pipe and physically changes the minerals in water. As water sees a change in temperature, pressure or turbulence, some of the minerals falls out of solution and are floating around in the water. These minerals, which look like a tree branches, have an electrostatic charge (like static from foam pieces in a box) on their surface causing them to stick to the inside of water-using equipment and form scale build-up. No-Salt Conditioner treatment causes the tree branch shaped minerals to cling to each other and form disc-shaped minerals, and as a result, they lose the electrostatic charge and ability to stick. When the tree branch-shaped minerals cling to each other and form these discs, it creates more capacity or “room” in the water to dissolve minerals and slowly remove existing scale build-up.